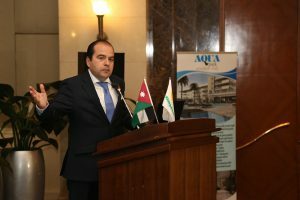 To celebrate the opening of our new branch, a successful launch event was held at the Four Seasons Hotel in Amman on the 30th of November 2016, where D. Zavos Group’s professional team hosted 300 honorary guests. At this event, D.Zavos Group presented ideal opportunities to satisfy the needs of every client. It was emphasized that by investing in property in Cyprus through D.Zavos Group, the benefit of obtaining Cyprus citizenship / EU passport and permanent residency is possible. Do not hesitate to contact us where our experienced staff will be happy to meet with you to discuss and guide you through our property portfolio. You can now find us at our new offices in Jordan, Amman, Al Madina Al Monawara St, Building #162, Office #405. Tel: +962 6 552 2206.